QUALITY DECKING, EXCELLENT CRAFTSMANSHIP, LIFETIME WARRANTY! Building a deck on one’s existing home is a big decision to make; after all, a deck is a rather large investment. If done right, a deck can significantly increase the overall value of one’s home while also providing the home owners with additional living and entertainment space. The only way to guarantee a quality deck construction job and to avoid botched construction is to take the proper steps necessary to find quality and experienced custom deck builders when choosing a deck contractor. If you are seriously considering the option of having a deck built on your home, then you may be wondering what steps you will need to take in order to find the best decking companies near you. For starters, you will want to find a company that has a lot of specific experience when it comes to building decks in your area. You may even want to ask representatives from the company to see some samples of work that they have done in the past. Many reputable companies keep a portfolio of their work either at their office or even online for potential clients to view, and browsing through these photos can be a great way to get an idea as to what kind of work you can expect from them. Furthermore, when choosing a decking company in your area, you should take your time to find one that will issue you a no-obligation quote for the cost of the materials and construction. This is a great way to know ahead of time what the cost of the work will be and to avoid sticker shock in the long run. Fortunately, if you are looking for the best local professionals when it comes to deck builders in Chester County PA, you do not need to look any further than Deck Craft. We specialize in getting the job done right and for a reasonable price. 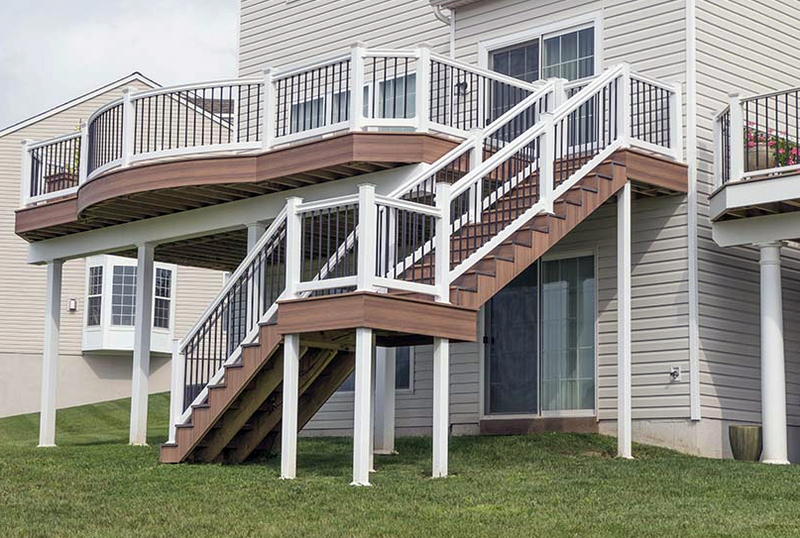 Deck Craft Plus are Chester County deck builders offering a variety of deck styles, deck railing options and deck accessories.